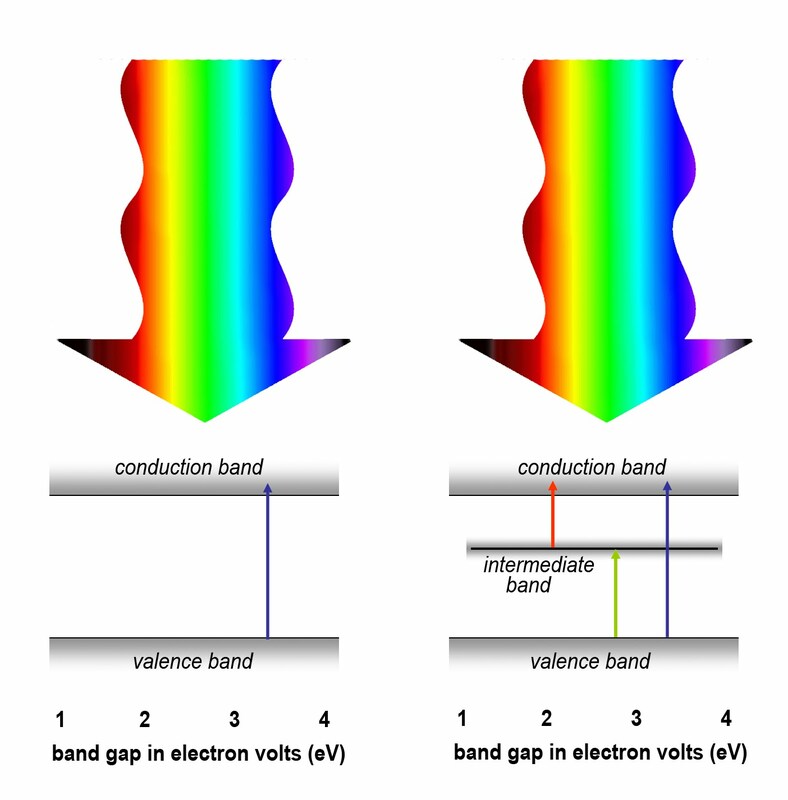 An intermediate band solar cell using dilute GaNAs (~2% N) HMA demonstrates an optical activity of three energy bands that absorb and convert into electrical current the crucial part of the solar spectrum. Highly mismatched alloys (HMAs) is a new class of semiconductors formed through alloying of distinctly different materials. HMAs have the electronic band structure drastically different from that of the component materials, offering unprecedented flexibility in controlling the band gap and the location of the conduction and valence band edges. Strong absorption and reflection by high concentration free carrier gas is responsible for low transparency of standard transparent conducting oxides (TCOs) in the infrared (IR) region (l>1000 nm) and restricts the applications of these materials to photovoltaics that do not utilize the IR part of the solar spectrum. Maintaining low resistivity and low free carrier absorption requires TCOs with the highest possible charge carrier mobility.Recently we have developed high mobility CdO based transparent conducting oxides (TCOs) with exceptionally high conductivity (>104 S/cm) and transmission window in the wavelength range from 400 to >1500 nm making this material an ideal TCO for photovoltaics with low band gap absorbers. Everything you always wanted to know about RBS (but were afraid to ask): Kin Man Yu has made a nice website about his impressive new RBS machine. Engineering the Electronic Band Structure for Multiband Solar Cells Our group recently made it into the LBNL news, Physics Synopsis, Semiconductor Today, ScienceDaily and others. Click here for the original article.